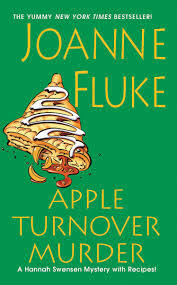 When The Cookie Jar gets an order of eleven hundred cookies for a charity talent show, Hannah Swenson is overwhelmed, until her intrepid business partner, Lisa, recommends apple turnovers. Being a good sport, Hannah agrees. But then the host turns out to be a college professor both Hannah and Hannah’s youngest sister, Michelle, had a relationship with. Having to deal with the professor is one thing, but when Hannah finds the man dead, that’s completely something else. Hannah must put her personal feelings aside, as most don’t know of her relationship with the man, and find his killer. Is the cad’s killer closer than she thinks? Who would read this: Fans of cozy mysteries and the hannah swenson series! Funny Story: I’ve been reading this series for the past few months, and i’ve become quite the sleuth in real life. Final thoughts: While this series is traditionally pretty easy to ‘figure out’ early on for me at this point, the character development and the recipes keep me coming back!